The bar industry in Canada has had a difficult time of late – with the global recession and fall in disposable incomes, drinking establishments have struggled to stay afloat. However, as times change and as the economy begins to shake off its hangover, it looks like the bar sector will be ready to party again soon! And buying a bar is becoming a desirable business option for many Canadians, whether it be a pre-existing business that’s ready to trade or just buying the real estate and srarting their own business. Change has been a survival tactic in the Canadian bar sector over the past few years – particularly in adapting drinks and food menus to cater to shifting trends and niche customer markets. As the majority of bars in Canada are small, independent businesses, there is a low level of market share concentration. These shifting trends have been seen, in part, in fluctuations in the types of alcohol sold. While beer was still the favourite alcoholic beverage in Canada at sales of $9.1 billion in 2013, more recent figures have shown that Canadians are now buying less of it. According to Statistics Canada, beer sales were down 0.1% from 2012. However, spirits sales increased by 2.9% to $5.4 billion and wine by 4.9% to $6.8 billion. According to IBISWorld report, the primary difficulties that the sector has faced are social issues. Due to the fall in disposable income combined with stricter pricing regulation (meaning a rise in alcohol prices), more people have been consuming food and alcohol at home, rather than in restaurants, bars or clubs. Attitudes towards alcohol consumption have also changed in Canada, with an increased awareness of health issues alongside a wariness of drink driving. According to Ipsos Reid, one of Canada’s leading polling agencies, 58% of Canadians drink at home, 16% at someone else’s home, only 10% in bars and 6% in restaurants. Clashes with the restaurant industry over the past 5 years and other entertainment venues vying for customers has meant that the supply of establishments serving alcohol has been much higher than the demand. According to Statistics Canada, bar sales have also fallen as the number of drinking establishments fell to 5,377 in the second quarter of 2015 from 5,973 in the same period in 2010. ‘You will see people staying home, or they will pre-drink before going to a dance establishment and go out later’. President of Toronto-based foodservice consulting firm FsStrategy Inc., Geoff Wilson, believes that certain trends have influenced the decline in bars more than others. ‘Sales are declining in traditional bar operations, and something that has a much more well-rounded experience is now classified as a restaurant as opposed to a bar, and that is becoming more prevalent. The 'fragmentation' of the industry in attempting to cater to more complex markets has seen new bar concepts spring up. Cocktail lounges, wine bars and gasto pubs are becoming more popular in revitalizing the industry – the increase in wine and spirits consumption illustrating this. According to the IBISWorld report, bar and nightclub spending is expected to increase substantially with the improvement in the broader economy. This is also, in part, due to the bar industry allocating a larger focus on live entertainment and restaurant style food services. The legal authority of each province controls the liquor licencing within that area. A license is needed by any business or individual who wants to sell alcohol on their premises. The age limit for alcohol consumption or purchase depends on the specific laws individual provinces as there is no federally defined age. For British Columbia, Nova Scotia, PEI, Saskatchewan, Yukon, New Brunswick, Northwest Territories and Newfoundland and Labrador, the legal age for purchase is 19. However, for Manitoba, Alberta and Quebec, it is 18 years of age. Similarly, the hours that alcohol may be sold also depend upon the territorial and provincial jurisdiction. ‘Our consumption isn’t changing. What’s driving this is that people are looking for a different type of experience’ says Wilson. 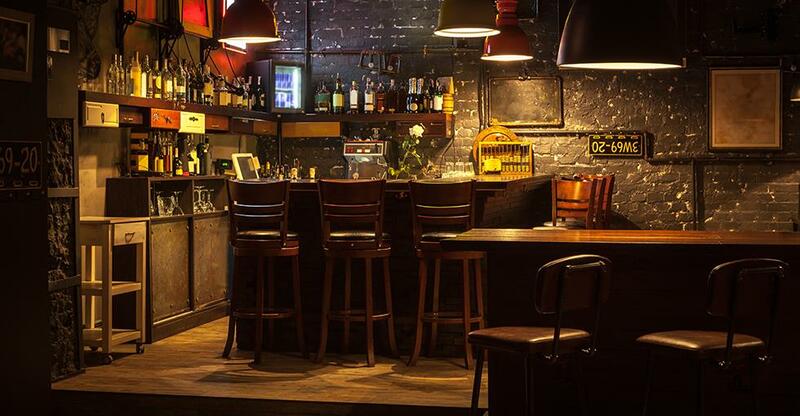 Think you have what it takes to take on the bar industry? Have a look at our bars for sale in Canada and advice on running one.